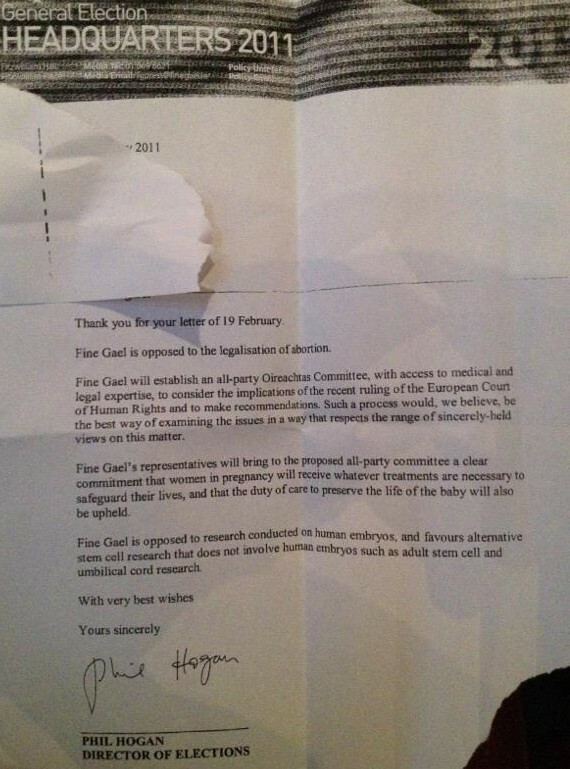 From the 2011 General Election campaign a letter from Phil Hogan assuring the recipient that “Fine Gael is opposed to the legislation of Abortion”. All of us who wrote to FG members before election got letters reassuring us that FG would not legalise abortion. The ruse worked and hundreds of thousands voted for them on the basis of their dishonest undertaking.